On October 1, 2017, the Commission on Fire Accreditation International (CFAI) welcomed Jake Rhoades, CFO, CEMSO, CTO as its newest commissioner. Chief Rhoades was nominated by the International Association of Fire Chiefs representing agencies serving populations between 25,000 and 99,999. The CPSE Board of Directors unanimously approved his appointment. Rhoades is the fire chief of Kingman, Arizona Fire Department. He has over 25 years of fire service experience having also worked for fire departments in Edmond, OK and Rogers, AK. He has been part of two departments, Kingman and Rogers, which have achieved CFAI accreditation and was recently successful in improving Kingman’s ISO rating to one. Rhoades’ engagement with CPSE extends beyond his service on the commission. He serves as a CPC peer reviewer, instructor for the Exceeding Customer Expectations workshop, CFAI peer assessor, and a coordinator of the Arizona Accreditation and Credentialing Consortium. 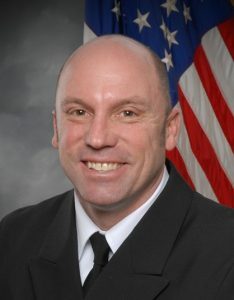 Rhoades holds a master’s degree in Executive Fire Service Leadership and is pursuing a doctorate in Business Management. Rhoades received his designation as Chief Fire Officer in 2010, Chief EMS Officer in 2012, and Chief Training Officer in 2012. The Commission on Fire Accreditation International (CFAI) has 11 members that represent a cross-section of the fire and emergency service, including fire departments, city and county management, labor, standards development organizations, and the U.S. Department of Defense. CFAI holds public hearings at the CPSE Excellence Conference each spring and at the International Association of Fire Chief’s Fire Rescue International Conference each summer to review agencies applying for accredited status. Learn more about the individuals that graciously volunteer their time to overseeing accreditation.